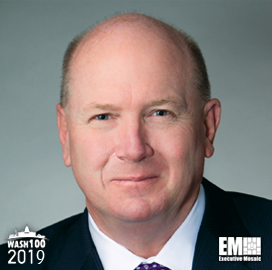 Executive Mosaic is pleased to present Ken Asbury, president and CEO of CACI International, as an inductee into the 2019 edition of the Wash100 — Executive Mosaic’s annual selection of influential leaders in the government contracting arena — for his pursuit of organic growth for the company through M&A and IT services. This marks his sixth consecutive Wash100 award. During the first-quarter earnings call for fiscal 2019 in November, he announced the company’s top priority is to continue pursuing organic growth. “M&A remains our priority for capital deployment and we are pursuing quality companies and contracts that add new customers and fill capability gaps across our addressable market,” Asbury told analysts. In August 2018, CACI closed its acquisition of CSRA’s former systems engineering and acquisition services business unit from General Dynamics to expand work support for the U.S. Navy. “This team brings us an exceptional track record of winning major Navy programs of record, unrivaled subject matter expertise, and deep customer relationships, which gives us a significant competitive edge in pursuing large-scale, enduring opportunities across the Navy,” Asbury said. Aside from M&As, CACI won prime spots on major contract awards in 2018 including the Defense Information Systems Agency’s $17.5B Encore III information technology services contract vehicle. Asbur said the partnership with DISA through the Encore program aspires to reflect the company’s investment in novel platforms and technological workforce in support of federal clients’ national security missions. Other procurement vehicles in which CACI secured positions include the $920M National Geospatial-Intelligence Agency’s Janus Geography contract, the U.S. Army’s $12.1B IT Enterprise Solutions recompete contract for services and the U.S. Navy’s $980M contract for training and simulation technology support. In November 2018, the Virginia-based IT services contractor secured a potential $413M contract to offer services for the Army’s ground-based intelligence platform and a $194M task order under the Enterprise Acquisition Gateway for Leading-Edge Solutions II to deliver IT management services to the Department of Homeland Security’s Transportation Security Administration. Executive Mosaic congratulates Ken Asbury and the CACI team for their selection to receive the award.